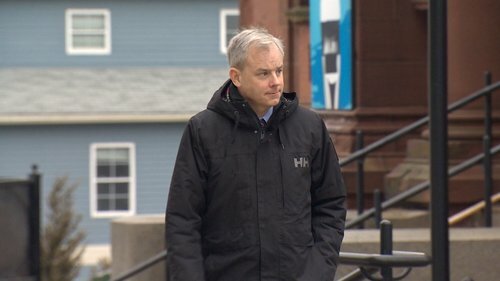 CBC News brings you the latest from the murder retrial of Dennis Oland for the 2011 bludgeoning death of his father, Richard. Dennis Oland murder trial day #29 . Crown prosecutors had intended to call a witness this morning that the defence is objecting to. Crown asks for more time to consider defence position. No other witness is available until this afternoon so court adjourns until 1:30. Weaver says Crown had sent defence a summary of their position in January as well as some point form arguments last night. Defence sent response this morning. We feel we have to check into this issue to see if we still want to call this witness, says Weaver. "That's fine," says judge. Asks if there are any other witnesses lined up for this morning. Weaver says earliest they could get the next witness here is this afternoon. "OK," says judge. Dennis Oland murder trial day #29 - afternoon session. Lots of interest in this morning’s development but there is nothing much to report about it. Crown lawyers have expressed an interest in calling Ronald Ferguson as a new witness. He’s the ex husband of Dennis Oland’s wife and father to Dennis Oland’s step son. There is no public hint about what he knows that is relevant but defence lawyers object to him being called. Earlier this week the crown told Justice Morrison about the dispute and that he would be asked to rule on whether Ferguson could testify but this morning crown lawyer Derek Weaver said new information supplied by defence lawyers about Ferguson’s appearance requires checking. Weaver said the crown may or may not seek to call Ferguson based on its evaluation of the new information. Ferguson did not testify at the first trial. Court has resumed and Weaver rises to inform Justice Morrison that the crown - after reviewing information supplied by the defence - will now not be calling Ferguson as a witness. Crown now calls Payman Hakimian. He is an RCMP computer expert who specializes in the recovery and interpretation of electronic data. He analyzed a number of electronic devices seized as part of the Richard Oland murder investigation. Hakimian explaining his background, education and training to crown prosecutor Derek Weaver. Hakimian works in J Division in Fredericton and is approached at 4:10pm the day Richard Oland’s body is discovered and dispatched to Saint John to assess and seize computer equipment in Oland’s office. 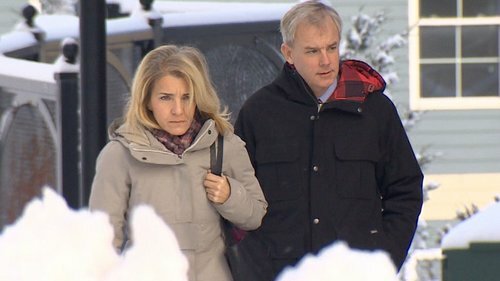 Hakimian takes possession of 12 items from Richard Oland’s office - computer towers, iPad, digital cameras etc. Computers are still on from before the murder and screenshots are taken of what is displayed on all monitors. Towers are all unplugged from the back to prevent any information being updated or overwritten by normal shutdown procedures. The devices are taken back to RCMP labs in Fredericton. Necessary but tedious testimony about which monitor is connected to which computer tower in Richard Oland’s office, what wire goes where etc.